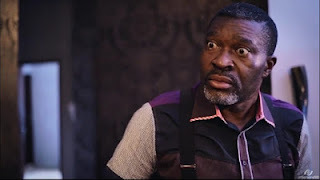 The repercussions of unhygienic living and inculcation of proper waste disposal mechanics in the society are the talking points of episode 9 of the Glo-sponsored TV drama series, Professor Johnbull, airing at 8.30 p.m. this Tuesday on NTA Network, NTA International on DSTV Channel 251 and NTA on StarTimes. Lovers of the popular TV satire will relish every scene in the episode tagged 'Mobile Dustbin' which harps on the essence of public sanitation. "Mobile Dustbin" promises sublime humour which is the hallmark of the drama and addresses the germane issue of deteriorating public health which is the bane of our society", Globacom added. Regulars like Kanayo O. Kanayo (Professor Johnbull), Queen Nwokoye as Elizabeth, Yomi Fash-Lanso (Olaniyi), Mercy Johnson Okojie, who plays the role of Caro, Funky Mallam (Mai Doya), Ogus Baba (Samson) and Junior Pope as Churchill will feature in the episode while Glo Ambassador and Nollywood actor, O.C. Ukeje, who acts as Efosa will put up a cameo appearance. Viewers will have the opportunity of finding out the reaction of sanctimonious Professor Johnbull when his son is caught on the wrong side of the law. Why is Olaniyi's popular Nkwobi joint sealed off in this episode? Which other locations are affected by the sanitary audit? What brings Mai Doya and Olaniyi together as friends for the first time? How will Caro handle Olaniyi's love advances? Globacom advised lovers of the programme to make it a date with Professor Johnbull as Mobile Dustbin, the 9th episode of the TV Series, is aired at 8.30.p.m. on Tuesday on NTA Network, NTA International on DSTV Channel 251 and NTA on StarTimes with a repeat broadcast on Friday at the same time on the same NTA channels.